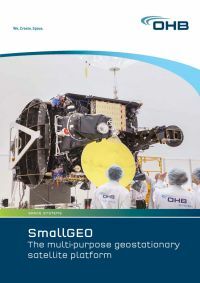 ESA has extended the SmallGEO scope to enhance European industry potential and growth in the satellite telecommunication market. This extension, Artes 11.3, will further develop a chain of around 14 European suppliers of service and equipment to the OHB SmallGEO satellite platform. The contract between OHB System and ESA was signed in September 2011. Various optimization activities are run at OHB System and its suppliers.